4701 Westgate Blvd., Bldg A. Therapies: Acupuncture, Herbology, Qigong, Tai Chi, Traditional Chinese Medicine, Tui Na Advanced Student Clinic and Grad Care Clinic. We are Colorado’s oldest and most trusted academic program specializing in acupuncture and medicinal herbs. For more information on clinics go to website. We also offer Live Blood Analysis, PEMF Treatments, Prolotherapy, PRP (Platelet rich plasma), Detox Therapies, Medically Supervised Cleansing, Sauna, Weight Loss/Weight Management, IV Therapies and have a Clinical Grade Supplement Store. Alternative Wellness Montana now offers Medical Marijuana Recommendations in Kalispell. Alternative Wellness Montana proudly provides medical marijuana recommendations from their convenient location in Kalispell. Those plagued by chronic ailments in search of a compassionate and understanding medical marijuana recommendation service can now find what they’re looking for just south of the Kalispell City Airport. 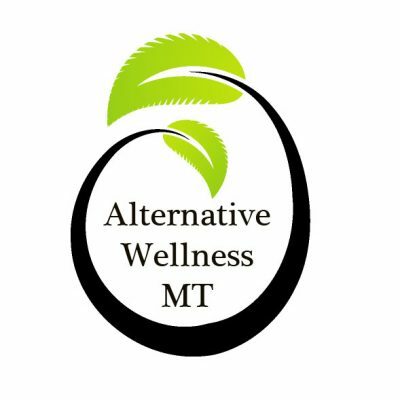 The wonderful staff of Alternative Wellness Montana prides themselves on how well they treat their patients, and it shows. Patients agree the service at this medical marijuana recommendation clinic is discreet, professional, and knowledgeable. The Sensual Wellness Factor The Highest Levels Of Sensual Healing/Emotional Excitement andPhysical Gratification. By connecting the world with the power of your Sensual Energy you can create excitement in your sensual encounter by focusing on Your Mind’s Eye and Create the Sensually Charged Experience of a Life Time EVERYTIME!! Cure Which Ails You On The Inside Of Your Sensualized Emotional Landscape And Creates The Over-The-Top Experiences You Are Seeking. The Singular Visual “Pull” Is Great For The “Empty Hearted” Lacking Any True “Soul-Full” Experiences-While The Highest Level Of Excitement and Sensual Gratification Comes From The Emotional Engagement Of Your Body, Soul, And Spirit. Venture beyond The Empty Vessel Whose Journey Is Determined By Whatever Direction The Wind Is Blowing That Day- A Grey Spirit. You Can Create the Physically and Emotionally Satisfying Experience of A Life Time EVERYTIME!! Let Us Show You How. Pompano Beach, FLAbout Blog Master the science, art and fun of crystal healing and therapy and know a unique perspective to the world of crystal healing by learning what they’re capable of. Torrance, California About Blog The Energy Muse Blog brings you ancient wisdom for modern times. This is your go-to guide for healing, crystals, spirituality and more. Our mission is to educate and reconnect the world to the ancient wisdom & healing properties of crystals. By connecting the world with the power of crystals and their intention, we are empowering people to tap into their own personal magnificence. Dublin, Ireland about Blog Abby Wynne’s website.Healing Mind, Body, and Spirit. My healing practice has become less about techniques and more about you. Come to see what I have to offer. 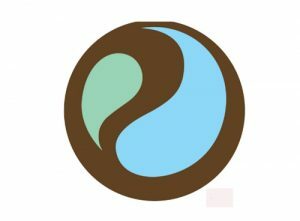 Here you will find posts which include energy tips, thoughts, exercises, and energy healing techniques. 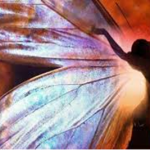 Deborah King | LifeForce™ Energy Healing for Every Day Life. 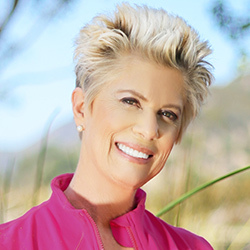 Los Angeles, CAAbout Blog Deborah King is a New York Times best-selling author, a recognized media personality, and the world’s leading authority on energy healing Deborah mastered ancient and modern healing systems, ultimately developing a powerful healing technique of her own. 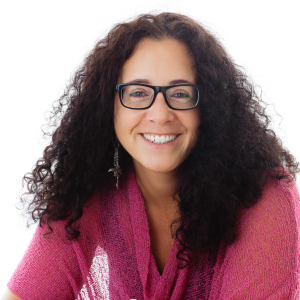 She has since gone on to develop LifeForce Energy Healing and Coaching courses that both teach and transform. 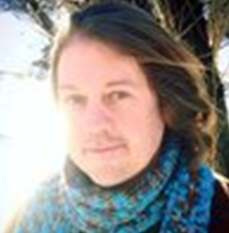 Boulder, COAbout Blog Jonathan Goldman is a writer, musician and teacher. 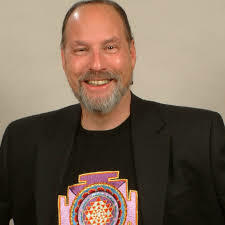 He is an authority on sound healing and a pioneer in the field of harmonics. San Francisco, CAAbout Blog A place for those in need of assistance from energy workers and healers. Queensland, AustraliaAbout Blog I am a survivor of multiple, severe, complex trauma and abuse. It is my hope this blog helps many on the same journey to healing as I am. At the age of 40, my healing journey began, when following a near breakdown in 2012, I was forced to acknowledge and deal with my past, after many years of avoiding, minimizing and denying the severity of the abuse, due to fear and complete lack of support. 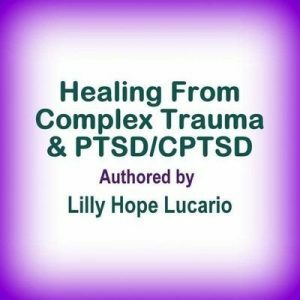 Follow my blog and join me on my journey to healing from complex trauma. worldwide about Blog Designed to inspire, heal, and awaken, Healing Lifestyles & Spas provide the information we need to balance our lives. 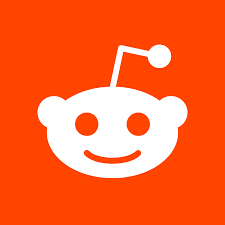 Our viewers wish to connect with the higher purpose, hope to infuse wellness into their lives, and desire to feel more balanced with the least amount of stress. 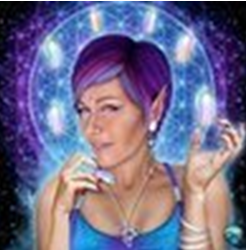 Australia About Blog In the early 2000s, Melissa embarked on a journey of self-discovery which lead to a very rewarding and beautiful spiritual awakening. 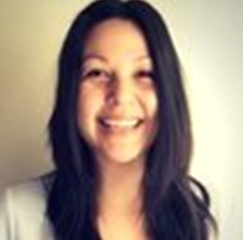 She has since mastered the healing arts of massage and Reiki; sharpened her intuitive skills & awareness; as well as created her own ‘spin’ on healing, which she refers to as loving energy healing. The latest news from Crystal Healing For Women. Crystals Brought Me To You And Now I AM Sharing My Story And Them With You. My site is about Crystal Healing, with a very specific purpose behind. To bring the magic, beauty, and powerful metaphysical properties of crystals to others who may benefit from the use of the Crystal Healing Kits, I lovingly create, with the best of intentions. 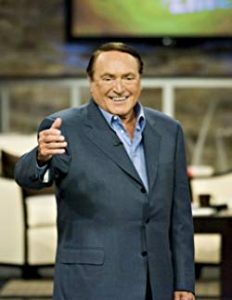 For 70 years, God has used Morris Cerullo to pioneer overseas evangelism and build God an army in many countries that have been considered closed to the Gospel. Boulder, ColoradoAbout Blog A Healing Space reflections on love, meaning, and the aliveness of immediate experience. 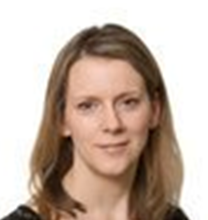 My research interests included contemporary psychodynamic/ relational theory as well as mindfulness-based, contemplative approaches to psychological healing and spiritual transformation. My Monday Body is all about my journey from autoimmune disease to accepting, thriving and loving all life has to offer. Living and thriving with a chronic health condition starts with your thoughts and emotions. Once you get out of fight and flight mode, you’ll start to heal. improvement and evolvement of mind, body and spirit. 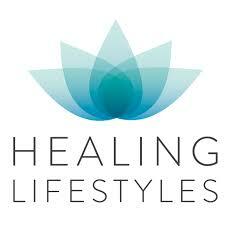 A heart-centered healing experience awaits you with Reiki, compassionate listening and loving kindness. Sophia’s gentle down-to-earth style creates an environment of safety, comfort and support. 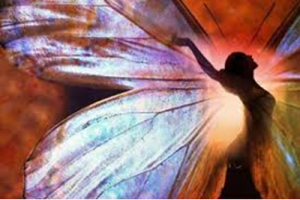 Journey with Sophia to balance your energy, clear your blockages and receive positive vital force energy so you feel lighter, healthier, and inspired. 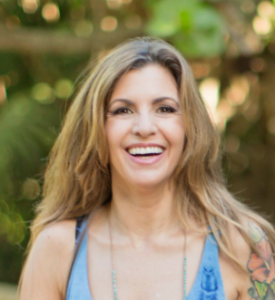 Providing thousands of healings worldwide since 2004, Board Certified Holistic Health Practitioner, and Reiki Master Teacher, and recognized energy healing expert having been interviewed by many publications including Good Housekeeping Magazine, The New York Times, and Nylon Magazine. Schedule your in-person, Skype, or telephone session to improve the quality of your energy and attitude today. A burst of inspiration transformed research for a newsletter article into a group of people laughing in a Bombay park. Sixteen years later, thousands of groups worldwide share in the practice of Laughter Yoga. 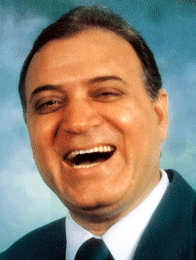 The Birth of Laughter Yoga can be traced to the first days of Spring in the year 1995. Dr. Madan Kataria, a medical doctor in Bombay (Mumbai) India, was writing an article to be entitled “Laughter: The Best Medicine” for his monthly health magazine “My Doctor”. Scientific literature verified laughter’s health benefits for both mind and body. In particular, the book Anatomy of an Illness by American journalist Norman Cousins had led to a considerable body of research, and the Cousins-sponsored work of Dr. Lee Berk in California validated many of the physiological benefits of laughter. 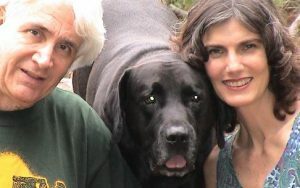 Keth Luke, Etheric Surgeon; DrLight, Therapy Dog; Jan Carter Mtascp, Medical Technologist, Angelic Astrologer. Treatments are available In Person, and via Distance or Remote Healing Worldwide. DNA ReCalibration, LightBody Activation, Deeksha Oneness Blessings, Flowering Heart Blessings. PTSD Treatments and Healing for Veterans. We are only a mile from the Ocean and next to the Cotee River. assimilated by snake-oil salesmen. Such is the fate of magnet therapy. There are plenty of folks out there who are desperate, hurting, or otherwise vulnerable to being coaxed out of their hard-earned bucks in exchange for a magical way to cure what-ails-you. TMS Center of Ventura is a clinic that specializes in achieving relief of depression for its clients. Dr. Lee Mendiola, MD is the owner of the clinic and has 20 years of experience in the field of psychiatry. He specializes in depression, anxiety, ADHD, substance abuse, and bipolar disorder. He uses the Neurostar TMS machine for an effective non-invasive treatment that is proven to bring hope to people who are suffering from major depression. Dr. Mendiola has received exemplary remarks for his services with multiple doctor rating sites such as vitals.com and healthgrades.com. He has been given the Patients’ Choice award for the past 4 years, On-time Doctor award, Compassionate Doctor Recognition Award, and considered a top 10 doctor in the state for Psychiatry. Is a facility that is led by Dr. HishamSoliman. He is known throughout the community for how much he cares for his patients. His colleagues and staff strive for a commitment of excellence to best meet their clients’ needs. The conditions that are treated are ADHD, Bipolar Disorder, Depression, OCD, Panic Attack, PTSD, Schizophrenia, and others. Services that are offered to treat patients are TMS, Psychopharmacology, Psychotherapy, CBT, Genetic Testing, and Psychoeducation. The reviews for Folsom Psychiatry Associates are on the mediocre side. He received an average of 1.5 stars on healthgrades.com, 1 star on yelp, and an average of 2.0 on vitals.com. The consensus on the staff of Folsom is not very positive. Most complaints are about billing and how they charge absurd fees and they cancel on clients. However, reviewers gave Dr. Soliman praise for how pleasant and helpful he is. A recent reviewer stated: I’ve been seeing Dr. Soliman for over a year and a half and him and his staff have treated me so well. He spends time and listens to concerns. When something isn’t working he will work with you to find a solution. I’ve already recommended him to other people I know and they like him a lot too. He is a great doctor. Have you had heard the word “Shambhala” for the first time and want to know what it means? 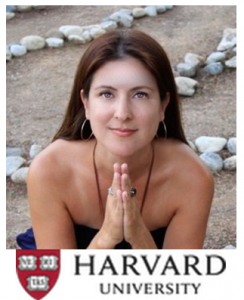 Are you looking for meditation instruction? Are you interested in Shambhala’s other mindfulness and contemplative arts programs? Are you seeking a community of like-minded people exploring the possibilities for creating enlightened society? Radionics is a technique of healing using extrasensory perception (ESP) and an instrument. It is not directed at the physical body so much as at the subtle energy fields, those fields undetected by the normal senses but which support life and are essential for its functioning. The patient can be with the practitioner or many miles away – distance is irrelevant. I have been a Vibrational Healer certified by Joy Gardner’s Vibrational Healing Program since 1997, when I went to Molokai, Hawaii, to learn from Joy how to feel energy and to work with it using sound in the form of toning, light, color and crystals; how to do past life regressions, spiritual journeys (I’ll never forget the one on which Joy led me), underlying cause and vibrational alignments, including stone layouts. I was raised in a family that was in tune with all things metaphysical. My parents were interested in telepathy and psychic phenomena, Edgar Cayce and ESP among other topics, and talked to me about them. I remember my father asking me to “guess” what the next card would be from a deck of cards with funny designs on them like a star or wavy lines. I later learned this was a deck used to test psychic ability. I think I missed as many as I got right. My first memories about complementary healing occurred when I was about six years old and really sick. My parents placed a long distance phone call (only done in those days when it was extremely important) to my great-Aunt Martha, who was an osteopath and radionics practitioner. She would diagnose and treat me from her office in Paris, KY, and I always got well. I soon learned that I didn’t talk about great-Aunt Martha’s healing work with my friends because they’d laugh and make fun of me. So my interests simmered. When I was 13, I knew I wanted to learn to do what great-Aunt Martha did, but a few months later she made her transition at the age of 83. I thought that was the end of the road for my desire to become a healer because surely no one else in the world could do what she did. Over the years, I read everything I could find about psychic phenomena, telepathy, ESP, clairaudience and remote viewing. But the healing side of energy work lay withering in a corner somewhere. Radiofrequency neurotomy uses heat generated by radio waves to target specific nerves and temporarily turn off their ability to send pain signals.Needles inserted through your skin near the painful area deliver the radio waves to the targeted nerves. Your doctor will use imaging scans during radiofrequency neurotomy to make sure the needles are positioned properly. Radiofrequency neurotomy is most commonly used for pain in the back, neck and buttocks (sacroiliac joint). It may also be helpful for long-term knee or hip joint pain. Request an appointment using our secure online form. 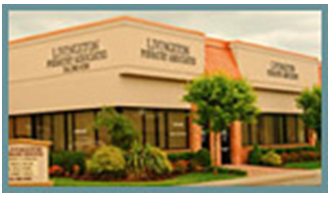 Our goal is to contact you by phone within three business days to review your medical and financial information. 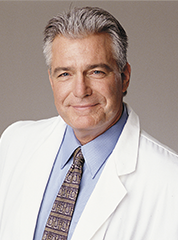 Dr. Revell works in Galveston, TX and 1 other location and specializes in Dermatology. Revell is affiliated with University Of Texas Medical Branch. He speaks English and Spanish. Extracorporeal Shock Wave Therapy– Acoustic waves generated by the Shockwave trigger biological effects which lead to faster and long-term healing and regeneration of the tissue. Shockwave therapy (SWT) covers a wide range of indications. ESWT is an 18-minute non-surgical procedure used to cure chronic plantar fasciitis, Achilles tendonitis, tennis elbow, shoulder tendonitis, and other chronic tendinopathies. The results were an amazing average reduction in pain of 92% with only one treatment. Pressure Wave therapy is a highly effective treatment method: high-energy sound waves are introduced into the painful areas of the body. It is one of the most advanced and highly effective noninvasive treatment methods cleared by the FDA. Applications: Joint Pain, Cardiac Dysfunction, Skin and Hair Rejuvenation, Sexual optimization. Improve stress Urinary Incontinence, Improved Vaginal Elasticity and MUCH more. This can be a bit painful as the stem cells are typically taken from your own fat. Stem-cell therapy is the use of stem cells to treat or prevent a disease or condition. The bone marrow transplant is the most widely used stem-cell therapy, but some therapies derived from umbilical cord blood are also in use. Stem Cell Doctors who provide regenerative medicine from Injections to IV therapy. Palettes Rich Plasma Therapies (PRP) – Regenerative Medicine. Uses: Increase blood flow, nerve regeneration. Primary applications: Joint pain, Skin regeneration, hair regeneration, sexual optimization And MORE. Since PRP uses your own blood, you should not have a reaction to it. Studies have noted that PRP has been found to have a positive effect on male and female pattern hair loss without major adverse side effects. You may experience minimal pain, pinpoint bleeding, and redness when the injections are being. Thanks to new technology, you don’t necessarily need to go under the knife for a thicker head of hair. PRP therapy for hair loss is an exciting new non-surgical treatment that significantly reduces hair loss for many patients. It’s also known as platelet-rich plasma therapy. You may be hesitant to get PRP hair treatment since it’s relatively new. However, PRP has been used since the 1980s for different types of treatments. Since PRP injections use your own blood, adverse side effects are rare and there is no risk of developing a growth of tumor or cancer, according to the information resource website for PRP in Australia. Let’s take a closer look at potential PRP hair treatment side effects now so that you can choose the best hair restoration method for you. But no near-infrared option – red and near infrared light therapy – has been growing in popularity within the aesthetics field. This treatment has been extensively studied for improving the skin and has become a prominent treatment within the dermatology arena. Light therapy is an effective treatment that can help a wide variety of skin conditions and is backed by a robust amount of clinical evidence. While many traditional skin treatments provide temporary relief, these studies have demonstrated real, lasting skin changes resulting from light therapy. Back 2 Balance Health & Wellness. Therapies: Allergy Treatments, BioEnergetic Medicine, Biofeedback, BioMeridian Testing, Crystal Therapy, Detoxification Foot Bath, Distance Healing, Electro-dermal Screening, Energy Healing, Homeopathy, Light Therapy, Nutrition, PEMF, Remote Healing, Wellness Centers. 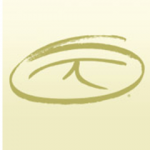 Back 2 Balance Health & Wellness is a holistic wellness studio focusing on balancing the body naturally through nutrition, detoxification and advanced healing modalities.